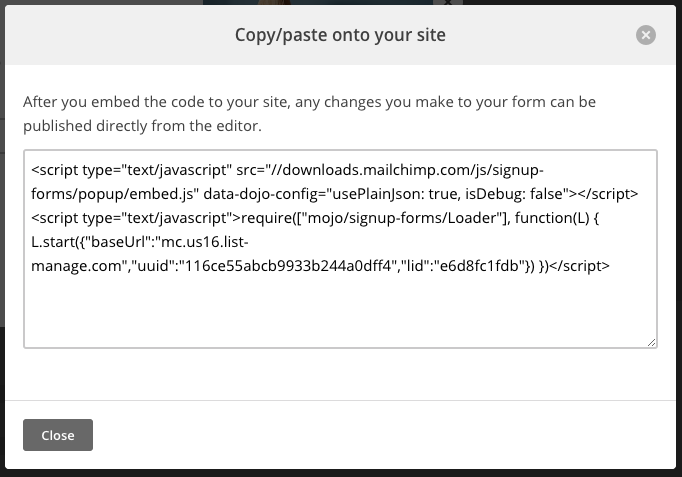 You can embed a beautiful MailChimp list signup pop-up form on your Selz store. 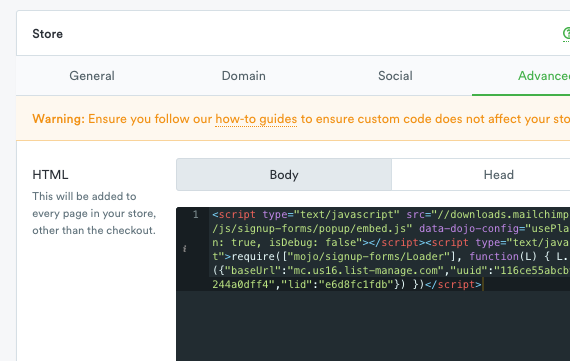 From your Selz Dashboard, click Store > Settings > Advanced. 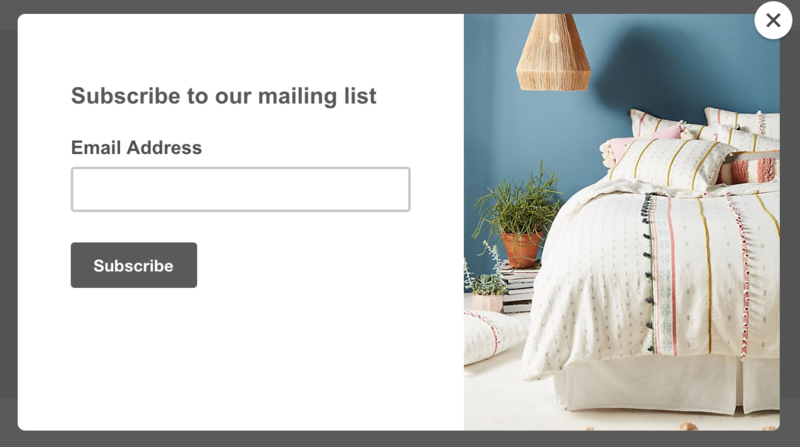 You should now see the MailChimp signup pop-up form when you visit your Selz store. If you wish to test the pop-up after dismissing it, clear your browser cookies. Is there a Selz jQuery plugin for custom integration?